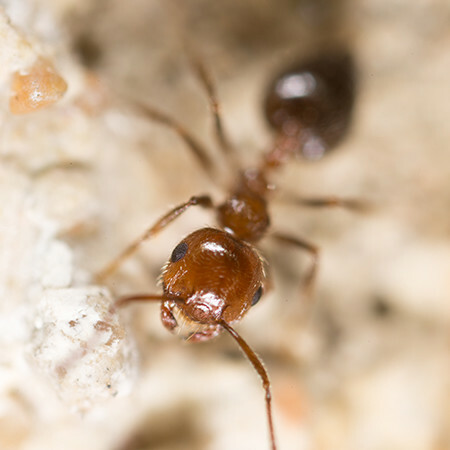 Do you see trailing ants in the kitchen or bathrooms? Spraying on the inside of your home is not always necessary. Ants build massive colonies, so their presence is generally detected when you see their nests, or the ants themselves. Treatments involve baiting, determent, and sealing off entry to buildings. Entry: Ants can enter through even the tiniest cracks, seeking water and sweet or greasy food substances in the kitchen pantry or storeroom areas. Scent trails: Ants leave an invisible chemical trail which contains pheromones for others to follow once they locate the food source. Nest locations: They can nest about anywhere in and around your house; in lawns, walls, stumps, even under foundations. Colony size: Colonies can number up to 300,000 to 500,000, and whole colonies can uproot and relocate quickly when threatened. Colony Lifetime: A colony can live a relatively long lifetime. Worker ants may live seven years, and the queen may live as long as 15 years. home remedies don’t account for the fact that different kinds of ant infestations require different treatments.